Columnist Victor Dwyer recommends a Canadian counterpart to JD Vance's memoir Hillbilly Elegy. JD Vance's bestselling memoir titled Hillbilly Elegyprovides an unflinching look into his family's deep Appalachian roots and the long-standing issues that continue to plague his hometown of Middletown, Ohio. 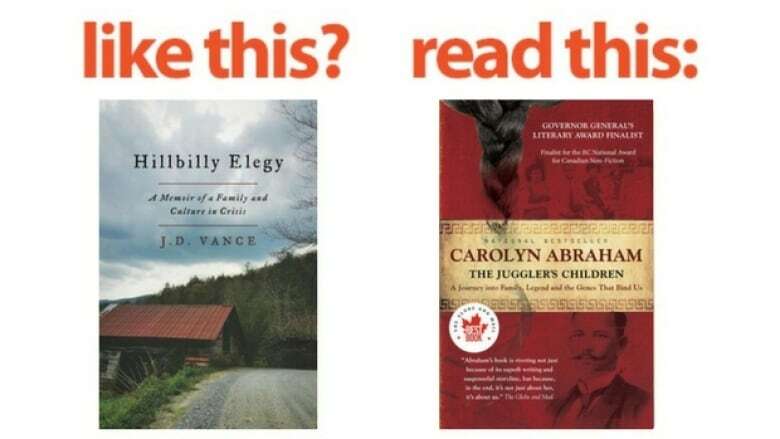 If you enjoyed Hillbilly Elegy, The Next Chaptercolumnist Victor Dwyer recommends The Juggler's Children by Carolyn Abraham. The Canadian writer conducts DNA tests to follow her family's ambiguous genetic lineage to unearth colourful stories of intrigue, mystery and suspense. The book is an economic look at what's gone on with the world and how it's affected families. In the case of JD Vance's Hillbilly Elegy, there's a real sense in which these people he grew up with, the people in these Rust Belt states, over these two, three hundred years, made their way up into that part of the world. Now it's rusted out and they're not willing to go anywhere. They're sitting there. Capitalism's moved them by and because of that, there's a real resentment against globalization, against international institutions. You see the Brexit version of it against the EU in England, against urban elites who believe in cosmopolitanism and globalism and are comfortable often living with other cultures and people of other colours. It's also a story of family and trying to understand your roots. It's a story of history and the values that make you who you are and how your family makes you who you are. But it's a story about a family that has travelled the globe. If you go back two or three or four generations in Carolyn Abraham's family, they come from pretty much everywhere. She has ended up here in Canada. In many ways, it's like JD Vance's story, in that it's really looking at and questioning who makes us, who we are, where we come from. To what degree is our family us? To what degree can we escape it? Victor Dwyer's comments have been edited and condensed.